Conveniently accessible and affordable for almost everyone, gadgets have allowed us to thrive in an interconnected world, allowing us to stay in touch with one another despite our high geographical mobility and time zone disparities. But it has also never been truer that as an extremely powerful tool, technology also functions as a double-edged sword. As noted by Ms. Angela Hunter, Chief Customer Officer of Prudential Singapore, social media and digital technology have never brought us closer together, and yet further apart than ever before. The ubiquity of gadgets, compounded by the fact that our perpetual reliance on them has become so naturalised, has resulted in divisive behaviour amongst friends and family. This problem is certainly not alleviated by the fact that since younger parents grew up in the age of technology, they too pass on these habits to the next generation. Meanwhile, when friends and family take time out from their busy schedules to spend time together, it seems as though most of their time is actually spent talking to other friends and family. One prominent example of divisive technology is Pokémon Go, a hit game that brought more people together than ever before, and yet built walls up between them at the same time. While some are already numbed to the consequences of divisive tech, not everyone is appreciating it. As part of the 2016 Prudential Relationship Index report, 500 online interviews were conducted with a representative sample of adults in the top two-thirds of household incomes in Singapore. According to the results, 28% of couples argue because either partner spends too much time on their gadgets. The study ranks technology addiction as 4th – behind children, money and housework – in a list of reasons for arguments between couples. In addition, 32% of couples surveyed noted that they think their partners prefer their mobile phones to being intimate. Of these, 22% admitted that they have indeed preferred their phones to intimacy at some points of time. Preference for technology over real human connections is higher for younger generations, with 58% of people under 30 who were surveyed opting to communicate via their phones than in person, with 10% even admitting to texting people in the same household. Perhaps the only silver lining to this situation is that Singaporeans are not aloof to the fact that they are indeed hurting their relationships with their tech habits. 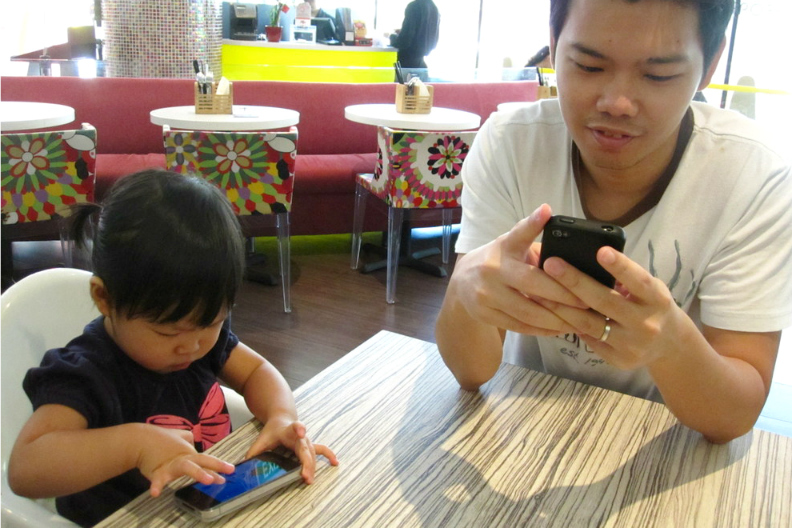 In fact, 1 in 3 Singaporeans already “see technology as a barrier to deep conversations”. 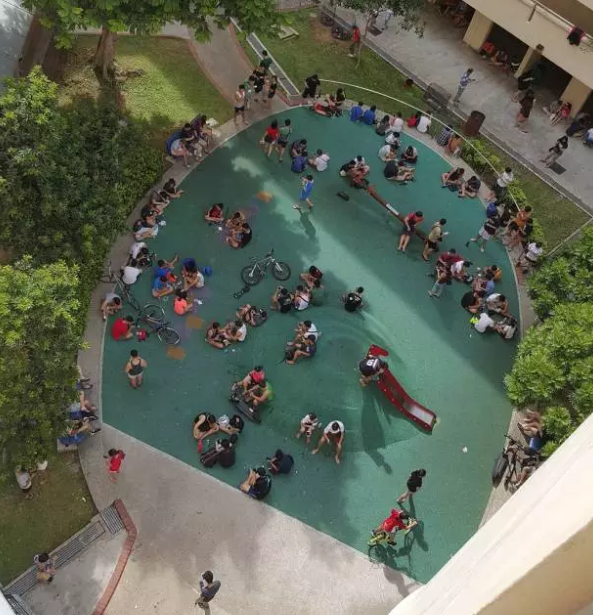 They are also taking steps to alleviate the problem, with 84% surveyed agreeing to consider gadget-free days and 79% willing to consider reducing screen time. 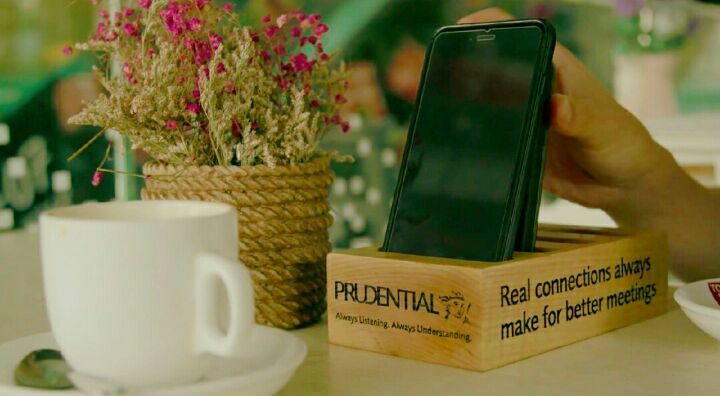 Last month, Prudential Singapore partnered with Toast Box to carry out a social experiment aimed at bringing people together again, by engaging in conversation sans their mobile devices. 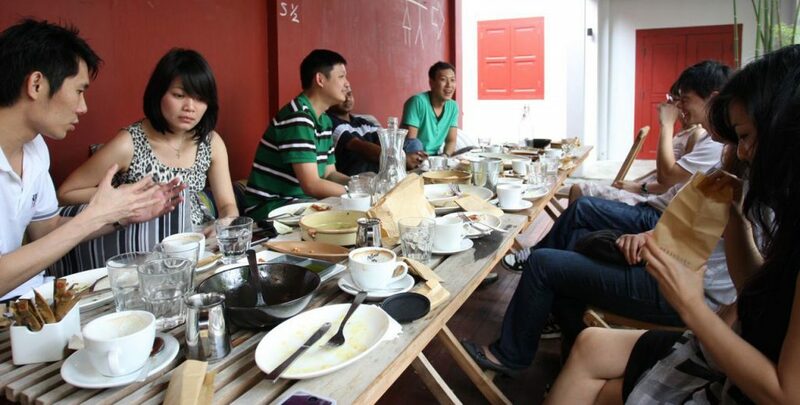 The test entailed customers putting away their phones in a phone holder on the table during the entire duration of their meal, and in exchange, they received a S$5 Toast Box voucher each. You can watch the entire video here. The experiment was a great success, with the participants who were later interviewed commenting that it was “much better without the phones” and that they “paid more attention to the topic and the person that [they were] speaking to”. One mother especially noted that it was nice to see that her children did not have their necks and their heads angled downwards for once. After the experiment, Prudential Singapore went on to implement an initiative at three Toast Box outlets from 13 to 22 December, giving $5 vouchers to customers who chose to put away their mobile devices and focus on the people they were having their meal with. 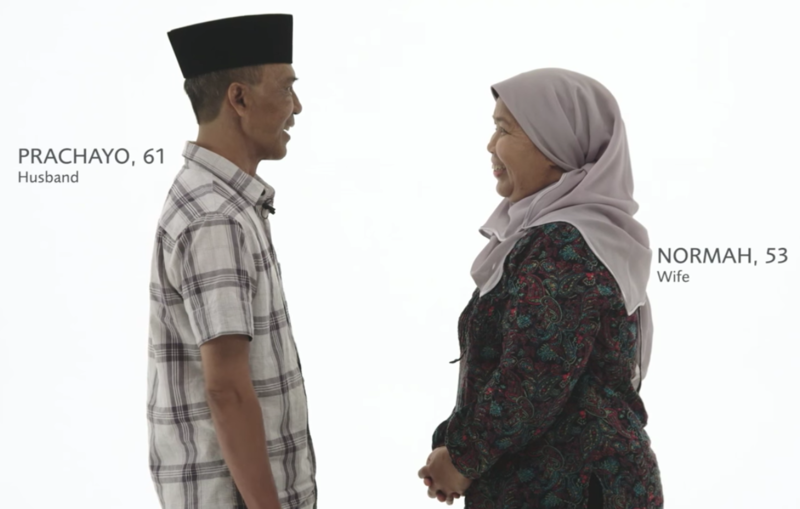 This isn’t the first initiative Prudential Singapore has rolled out to bring people in their Relationship Reconnect campaign. Their previous social experiment entailed capturing the vivid reactions of couples and family members looking at each other quietly for 4 minutes. A compelling take on human relationships, the video rapidly went viral with 23 million views. It was also recognised at the 2016 Sparks Awards for Media Excellence and Marketing Excellence Awards 2016. The concept of technology dividing people is neither foreign nor novel. However, the truly frightening part of it is how normal it has become in our society, and how even the younger generations are starting to develop an apathetic attitude towards its potential consequences. Our reliance on technology and preference for it over human relationships may no longer be reversible, but it is certainly not a problem that cannot at least be alleviated. There are plenty of fun ways to make this happen – be creative about it, and make a game out of not using your phones at precious meal times. We go to such lengths to arrange reunions with the people we care about, but what is the point of these meet-ups if we opt to hide behind the barrier of technology during the reunions? It is only when we make the conscious decision to disconnect ourselves from technology, can we start truly connecting with the people around us.